China has announced a key meeting of the ruling Communist Party of China (CPC) to discuss reforms and further opening up of the Chinese economy. A Politburo statement said the Third Plenary Session of the 18th CPC Central Committee will be held in November in Beijing. The CPC Central Committee is set to look into a Politburo report on “comprehensive and deepened reforms” said a CPC statement. The meet on Tuesday was presided over by Chinese President Xi Jinping, who also approved a 2013-2017 anti-corruption plan. “Reform and opening up serve as a critical strategy to determine modern China’s destiny and rejuvenation of the Chinese nation. There should never be an end to the practice and development, emancipation of the mind, and reform and opening up,” read a statement released after the meeting. 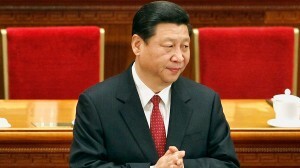 “There is no way out for China to stop or even reverse the process,” it added. The country’s growth has eased to 7.5 per cent in the second quarter from 7.7 per cent in the first three months of the year. China’s new leadership has indicated that they would be willing to accept a slowdown to some extent even as they push through reforms. Tuesday’s meet also discussed the proposed Shanghai Free Trade Zone. The Free Trade Zone, a first in the Chinese mainland, is being hailed as a step towards further opening up of the Chinese economy. Meanwhile, China’s National Bureau of Statistics (NBS) released new data on Tuesday that indicates the country’s economy is stabilising.